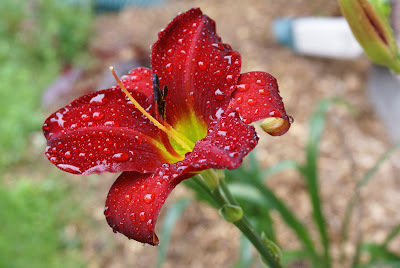 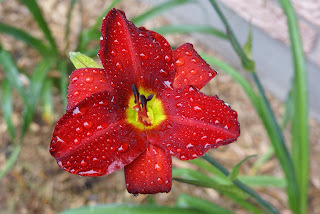 Its been raining here for most of the month of July and now into August. 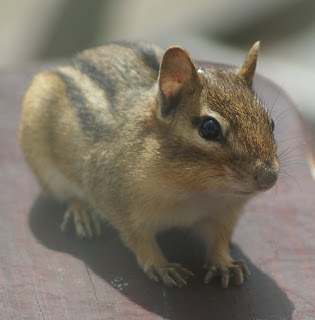 Even this little chipmunk has a raindrop on his head. 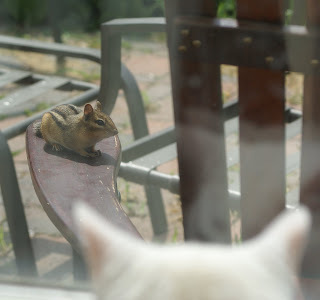 But he's got bigger worries I think...he must be wondering if Sydney can find a way out through the patio door.